I sits! A historical cat quote. Cats love sitting in things, especially cardboard boxes. Even if they are actually too small for them. If they manage to sit down, even if they crush the box in the process, they fit. Today I sewed a cat bed. It was a trial bed, inspired by the famous Catnoe by The Catball Lady. 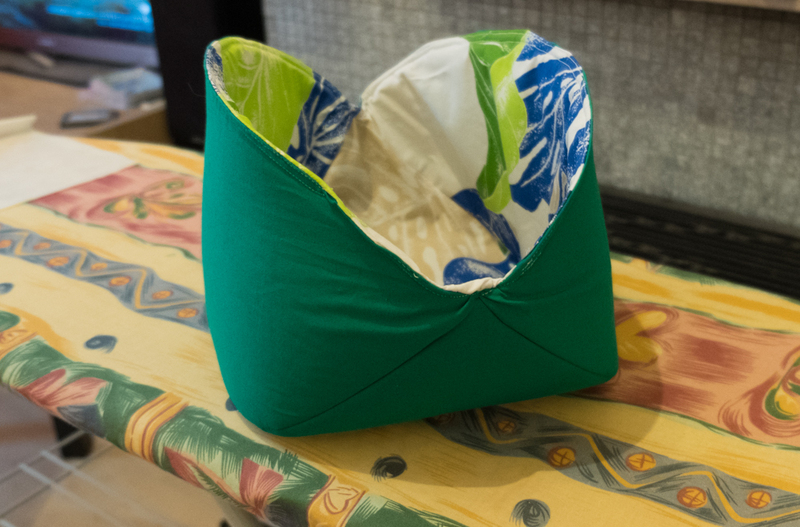 I used two fabrics, foam, interfacing, and constructed a cat bed that was a bit rounder and shorter than the catnoes. Next step: get Freya to sit in it. That wasn’t that easy, though. She did find it interesting when I presented it next to her. 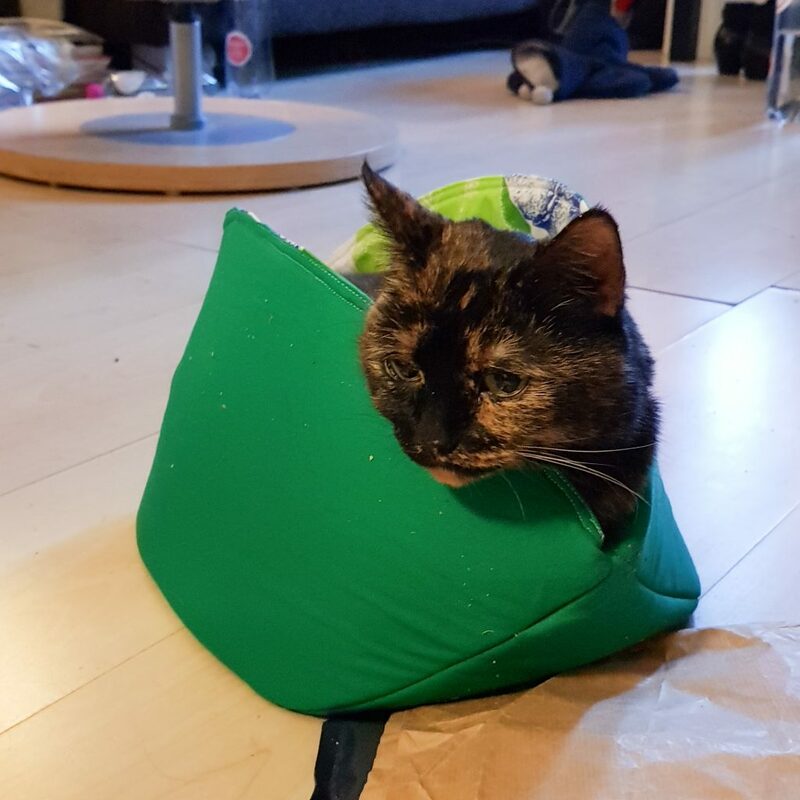 The cat bed was just a bit too small, and when she stepped into it, it fell over. She huffed and walked over to her zafu and sat down there. This called for stronger measures, a.k.a. bribing. I sprinkled some catnip into the cat bed. That should work! It did. But she still prefers her zafu. I may sew a bigger bed for her.